Weird. That’s how much time I have here in Mexico. .......AND I'M NOT TIRED YET!!!!!! I obviously have some time left to go and I don’t even want to start the count on that. It might enter my mind for unwanted reasons but I have used all my witch powers to keep it from hitting the ‘’feels’’ area. I think I’m doing an amazing job at doing it but I am a little worried it is just going to hit a lot harder when it finally comes. However, you can say that the past month has occupied my time pretty well with a new mission president, divisions, changes, conferences, temple trips, baptisms, visiting converts and so much more. I am going to work myself into a big pile of nothingness and that is just fine with me! The level of responsibility and work load may have greatly increased during this last month but I feel the Lord has constantly reminded why I was supposed to stay a bit longer here in Mexico. 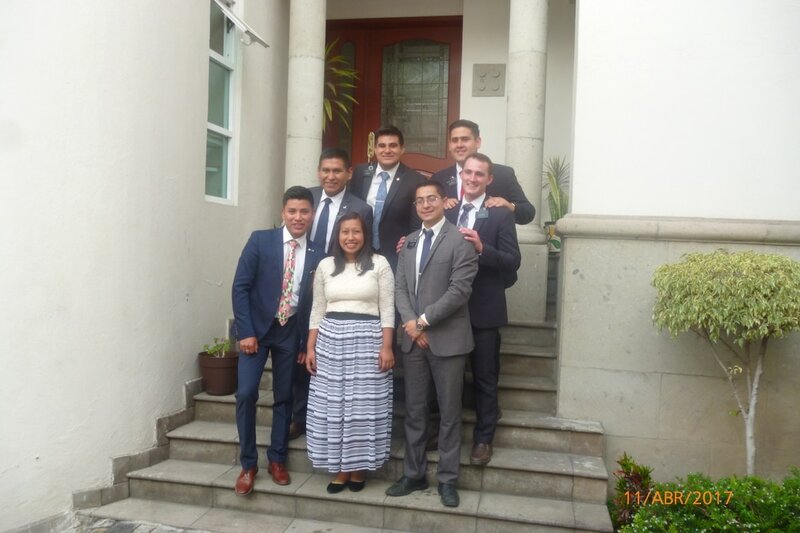 One such reminder was the baptism of an incredible hermana. She is a true force to be reckoned with and her testimony bears powerful witness of the greatness of this gospel. She is incredible. There are also some other baptisms planned just perfectly enough that I could be coming home a little wet. We’ll have to see what He has to say about that. It turns out however, that not thinking about my departure date has created somewhat of a problem. I have no time! And there are a lot of ‘’too lates’’ next to my checklist. One inspired thought helped me resolve a lot of the aching conflict burning inside of me though: The people are the most important. I am not a tourist and there are a lot of amazing, cool things I want to bring (and I have some stuff) but I came here for the people and want them to know that before I leave. I’ll be back to Mexico and I’ll spend plenty a little more money and time on all that other stuff. For now, I want to spend time with the people I have come to love and do it as a set apart representative of the Lord. Sadly, there still just isn’t enough time to make all the visits I had hoped for. There are plenty more things to write, stories to share, tacky jokes, etc. However, the time has come as it has every Monday for 105 weeks. People to see, things to do. This won’t be my last post so don’t faint or start a witch hunt. Love you all, have a great week! Things are crazy around here but are going great! The Manns are amazing people and it feels that they are exactly what our mission needs right now. They really hit the ground running! 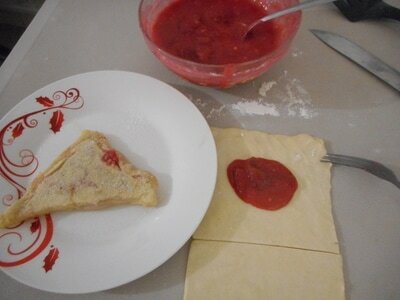 It is going to be very hard though to have time to do much. I still need to buy some things and I want to say goodbye to some areas but we have and probably wont have a Pday at least for a few weeks. It was also soooo hard to say goodbye to the Stutzneggers. I love them so much and I know the Lord sent me to this mission to have them as mission parents. You should thank them for taking such great care of me and helping me soo much throughout these 2 years. I already wrote and sent with them a letter. The greatest blessing though is that the Lord really is protecting my heart from feeling ''trunky'' even when your silly mom makes comments about how soon you'll be coming home and even though every elder and his cat reminds you that you are officially the oldest person here on the mission. Luckily, the Lord knows that I have no time for feelings like that. I don't think I'll feel completely fine until I'm on the plane. SO MUCH TO DO! So, I got your package which was a great surprise! Thank you guys, love you! Hope you have fun watching fireworks and what not. Meanwhile I'm signing paper work to renew my visa for the 3rd time. The recently had a policy change where they will no longer let you just pay the much cheaper late fee. YOU HAVE TO RENEW! So, instead of 400 pesos, I'll be paying about 4,000! 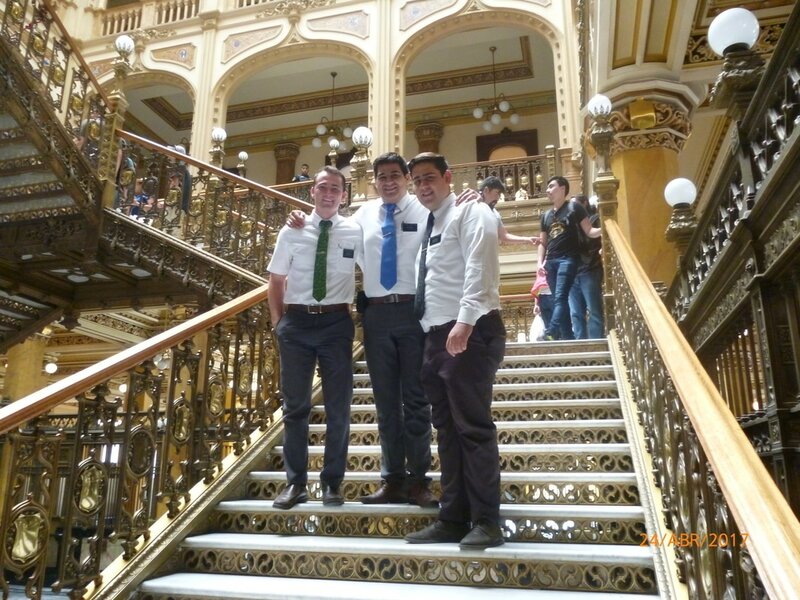 Let's just say that I might be the last missionary who will be able to extend... Well, I don't want to write a post because I'm exhausted but feel free to share on the blog that I'm fine, happy and working hard with any pictures that you can find. Flooding the Mission Presidents office, the Stutznegger's final two, heart felt Zone Conferences and having to say "Goodbye" to his own generation of missionaries... plus some homemade cherry turnovers. What happens when you hear that the water ran out at the offices? You turn on the sink to check and see if the water really did run out at the offices. What happens when someone leaves the sink running and then the water magically turns back on without anyone knowing? 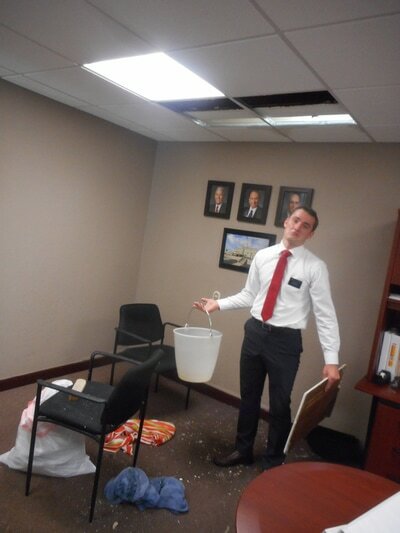 You flood the mission president's office. What happens when you find out that your bathroom sink was the one left on? You blame your companion...It has been a long week. I thought something like that would happen just to top off another crazy, wonderful week here in Mexico. And boy has it been an insane week. 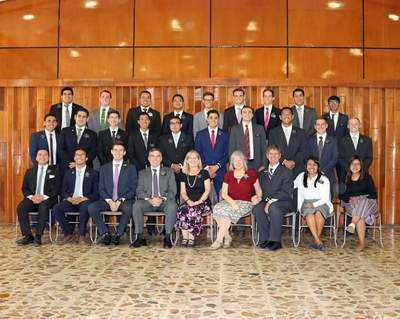 Tuesday we finally had the first of two zone conferences in the Paraíso stake center. These conferences were highly anticipated since they were the Stutznegger´s last. So you can imagine that the week started with an emotional bang. 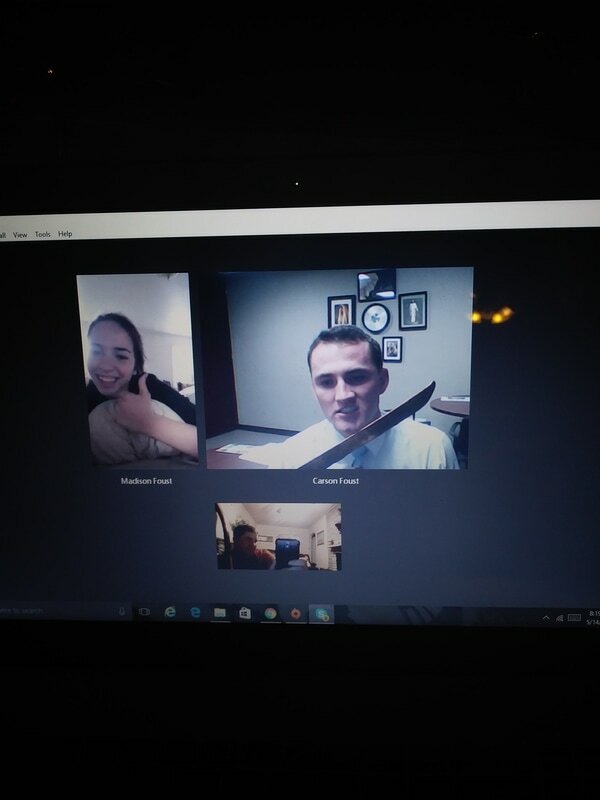 Elder Roberts and I trained and we felt it went well but we were not prepared for the grand finale. 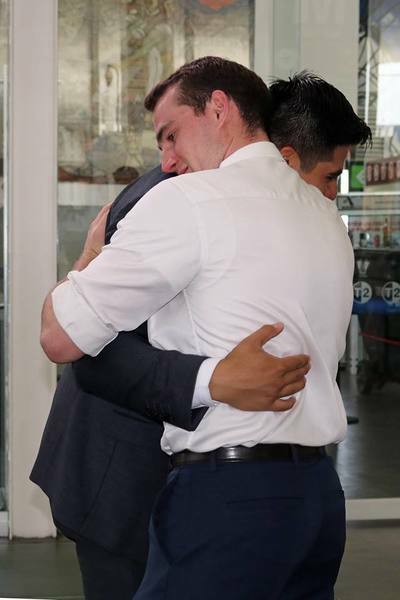 President and Hna Nebeker AND President and Hna Stutznegger shared with half the mission their final thoughts and pieces of advice and they left no whole-hearted survivors. Roberts and I swore that at the zone conference in Neza on Friday we would take precautionary measures and make sure to slip out just before. However, a part of us thought that since we had already heard their messages we would be immune to their fiery darts of sadness and inspiration. Oh how silly of us. I did not leave unscathed from either of the two conferences. Because it wasn't as much for the inspiring words they shared but the love that was felt. 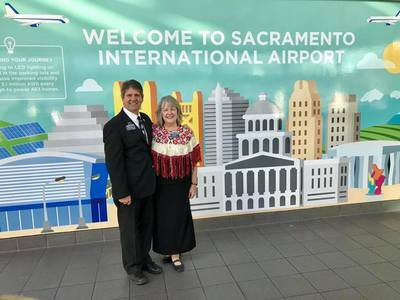 I left these zone conferences with a surety that God had blessed me with the best mission parents any elder could ask for because they loved me with such incredible depth and power that felt almost tangible. Feelings and emotions I could never forget. These memorable conferences were accompanied this week by some other surrealistic experiences. Basically two years ago I arrived here in Mexico City with some other pretty cool gringos and we started this wild ride together. Now, with a million more stories and way better spanish, it was time for them to leave me. 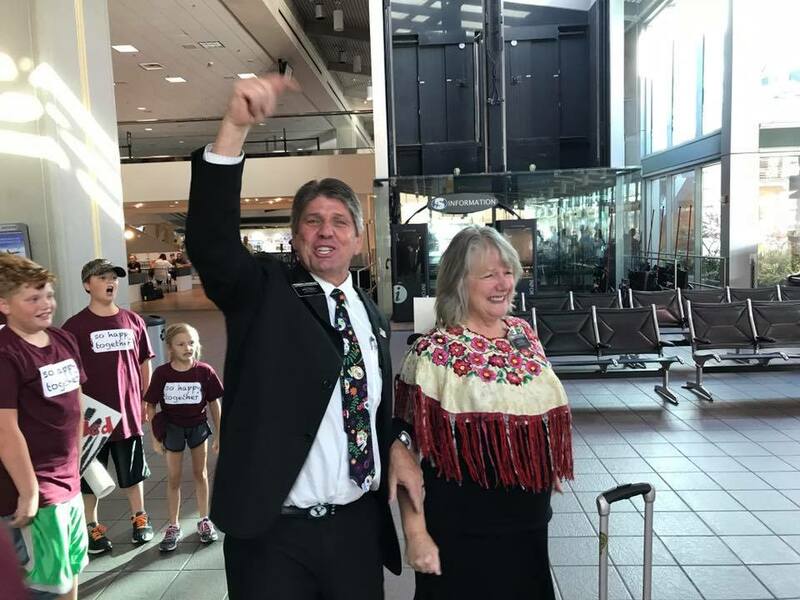 To make matters worst, Elder Wolford, who was a straggler to the party because of visa issues but a proud member of the best generation known to man and world-class companion, decided to jump ship as well. 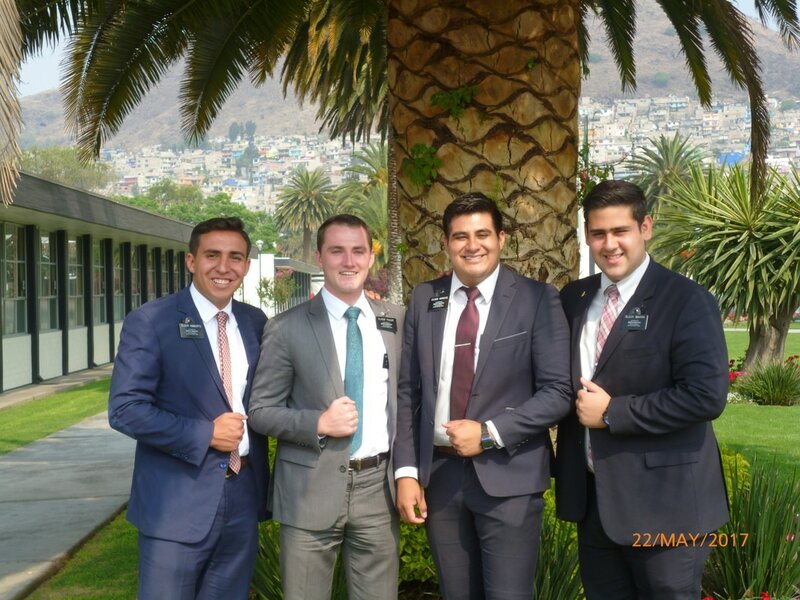 Add in the incredibly beautiful puerto rican Elder Alverio who was one of the best missionaries this mission has ever seen and a huge example to me and you have a quite the cocktail of amazing people all set to ABANDON ELDER FOUST! On Wednesday, we went to an emotion session at the temple, then came back to have an even more emotional testimony meeting, only to head out to the airport on Thursdayand have a devastatingly emotional goodbye. Okay, maybe not devastating but it was hard. However, I knew it wasn't a final goodbye. I grew up with these people here in the mission and we have truly formed a friendship set to last through the eternities. 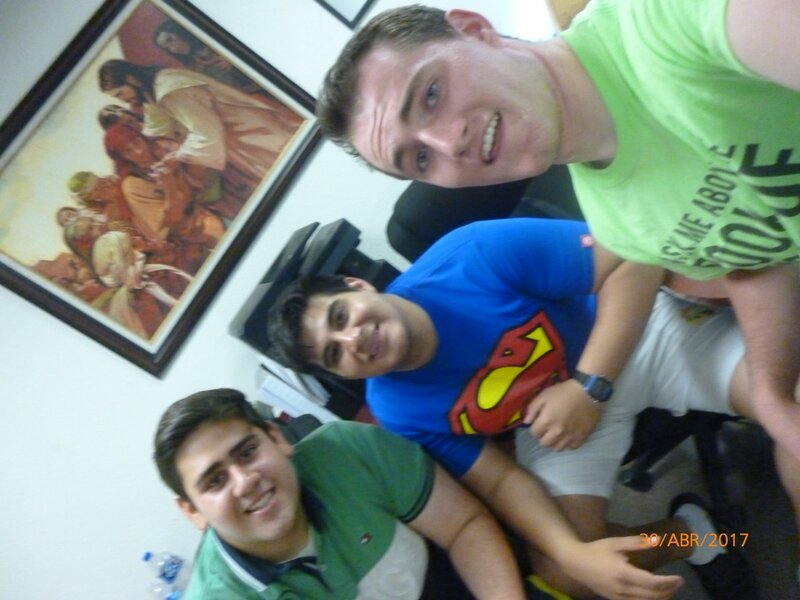 They are my brothers and I am going to miss them. But in reality, imma hunt them down in few months so they can run...for now. An incredible blessing to me was that I felt I received yet another confirmation that extending my mission was the right decision. I knew saying goodbye to my generation would be a little hard but I was worried it would make me more trunky or more, well, sad. I thought the ''would've'' or ''could've''s would have plagued my mind but it felt surprisingly natural. As if meant to be. It didn't really feel like I should have been on a plane last Thursday heading home. It wasn't meant to happen that way. I felt a lot of peace knowing I'm on the right track. So running around like crazy and witnessing a number of chapters end has been a continuous theme these past few months. But with new endings there are always new beginnings and a new excitement of finding out what's the next thing life has to teach us. The book of life. I've heard it's a great read. Hardwork and Heartbreak. Seems like these will be common themes for the next few weeks. Last time I mentioned the alarming number of goodbyes I'll be having to make and this week it became a reality. Our Fantastic Four has been savagely ripped apart. 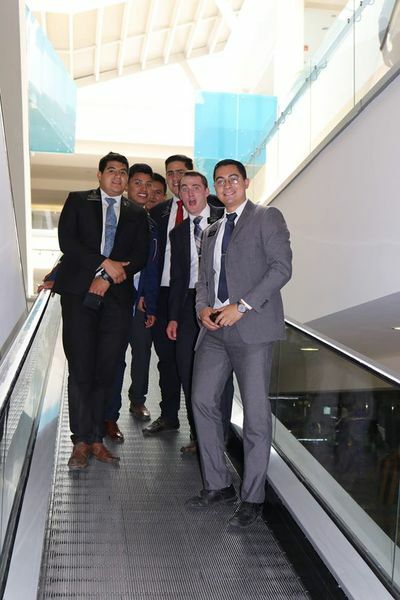 Elder Arroyo and Elder Ibarra left us Friday afternoon and Tepalcates hasn't been the same since (Elder Roberts is still here and still great but he'll have his moment). We had the torturing privilege to accompany our brothers to the airport and say our goodbyes. Tears were shed all around. I have had such amazing companions here in the mission and these two were some of the best. I love them so much. 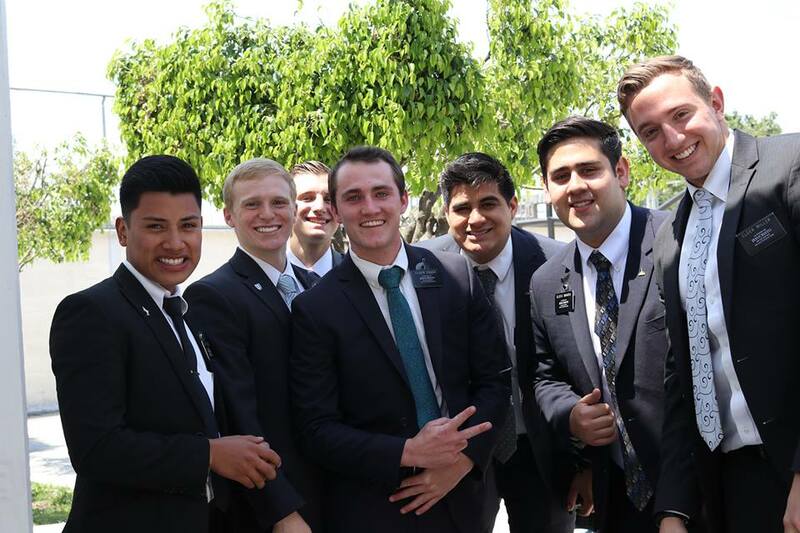 They have helped me learn, laugh, and live so much more happier here in Mexico. Pure power from these two. I don't think they'll ever know just how great of an impact they´ve had on my life. However, I hope, no, I KNOW it won't be the last time I see them. They'll be doing bigger and better things, but I'll find them! The Lord has definitely been aware of this sad change we've had and knowing that it is just the beginning, has wisely found wonderful ways to lift me up and keep me going. 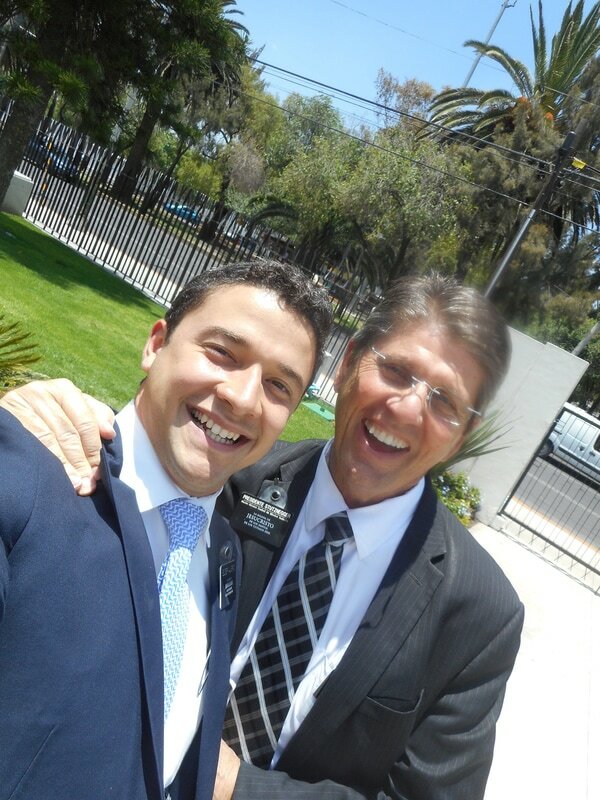 A few weeks back, I received notice that a family Elder Durham and I found in Palmitas was to be baptized. Through Durham's obsession with their dog, the mom invited us 'gringos' in to talk to them about the Gospel of Christ. Now this family was incredible and sadly I only spent a few short weeks with them before changing to Tepalcates. However, a few weeks later, some lessons and a whole lot of faith and love later, they were prepared to make their first covenant with God. Durham and I both came back for the baptism and I was surprised to know that I would be baptizing 1 of the 5. By surprised I mean I had no idea and brought no clothes or anything to baptize. 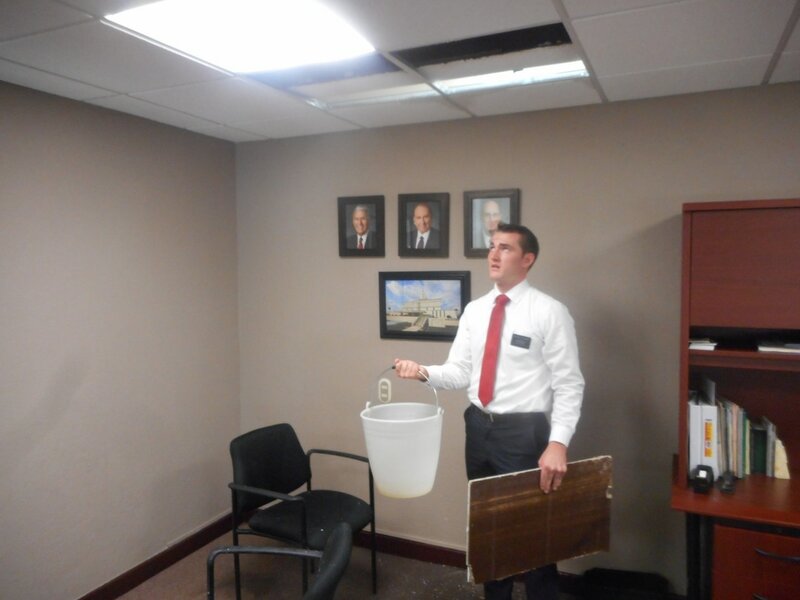 Luckily, Elder Durham worked his magic and sneakily organized for Elder Roberts to bring all the essentials. It was a wonderful gift from a wonderful friend. The spirit was strong as this family, all women, made the decision to follow the example of Christ. That experience alone would brighten even the darkest of days. However, the miracles were not meant to stop at that. 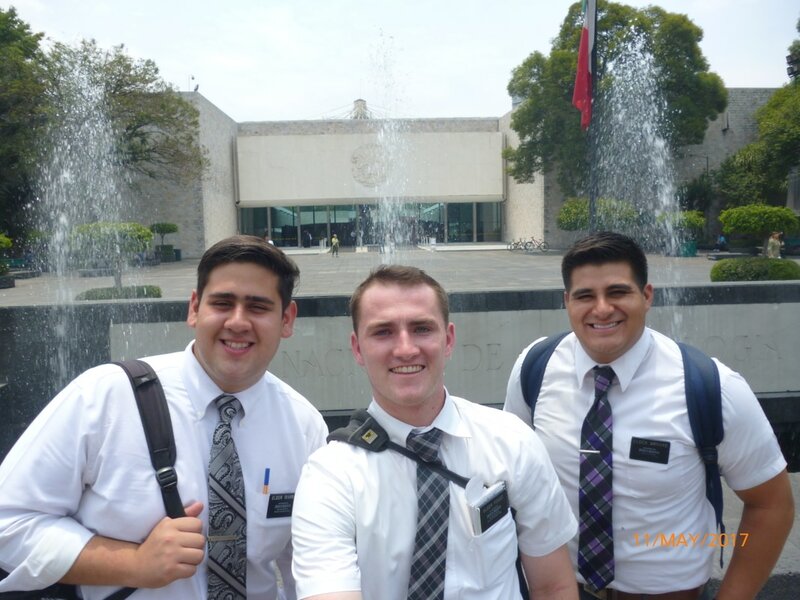 THIS week I got a call from the elders back at the Casa de Oracion in Ixtapaluca. 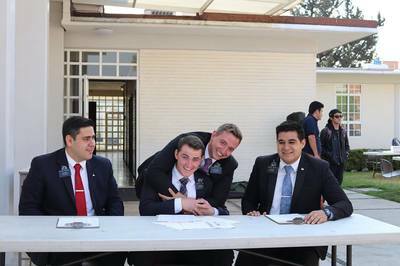 A couple good 'ole Elder Wolford and I found back in December made their decision to be baptized and the hermano wanted me to perform the ordinance. I loved that little House of Prayer and poured my heart out on that gigantic hill for 6 months. To be completely honest, at times I felt all that hardwork was in vane with little fruits to show of it. WIth thoughts like these passing through my mind more frequently just the week before, God gave me the best comfort a loving Father could give to a somewhat troubled son. That baptism last Saturday brought me so much peace. And taking place just a day after saying goodbye to some bestfriends made it that much more special. The Foust baptismal curse came back a little bit when the hermana was too scared to dunk her head underwater. We waited about 15 min in the water trying to help her relax. 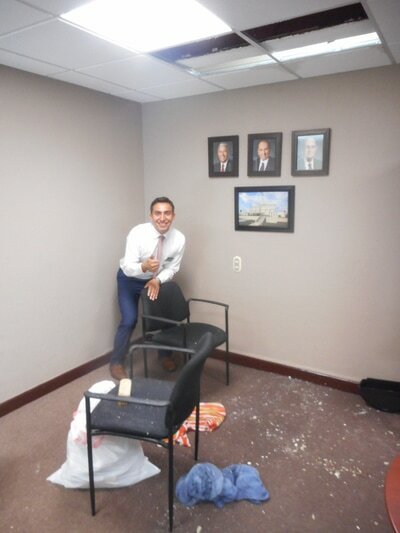 Elder Gonzalez who was performing the ordinance was a great sport and maintained his patience. Eventually I got in the font too and helped him and the hermana finish the baptism. The more the merrier!! Tender mercies, yes. Lesson on patience, also yes. JUST DON'T STOP TRYING! The lessons will be learned and understood and the blessings will come. But, oh how we easily forget. I love you guys so much and am so grateful for your love and support. Have a great week! The cycle finished last week and so the schedule was full crazy and interesting things. By far one of the coolest/weirdest is.....I HAVE A NEW COMP!! Well, I should say I have an additional comp. We are now officially a quartet! Never in my mission life would I have imagined that I would have not one, not two, but three companions at the same time. Madness. 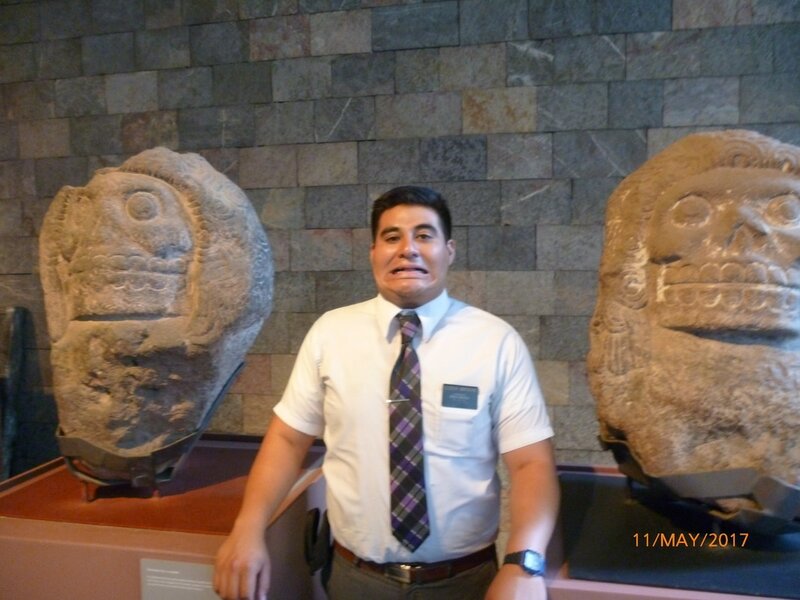 Elder Roberts from Yucaipa, California is the newest addition to the team. Over a week ago, before the changes, Roberts moved on over and the fantastic four was created. However, we don't waste all this manpower walking around all together. This week and for the weeks to come we have been doing divisions and working in the area everday. Two leave to visit the mission, two stay and maintain the area. It works magically. 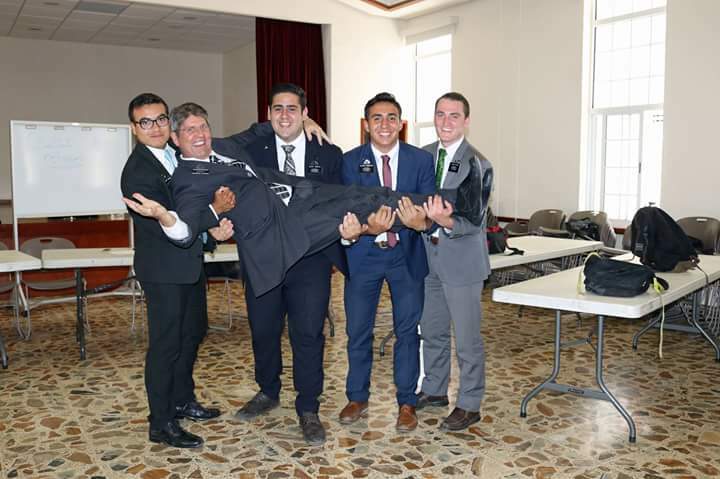 I've been spending a lot of time working with Elder Roberts and it has been a blast. 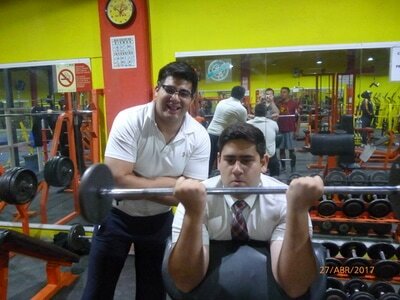 He's such a great elder and I can tell that we are going to work really hard together. It's such a relief that he's a great comp since he'll be my last one! Elder Arroyo and Elder Ibarra now only have a few short weeks here in the mission leaving Roberts and I alone. The start of many hard goodbyes this cycle. It might be short lived but the fantastic four will be legendary. 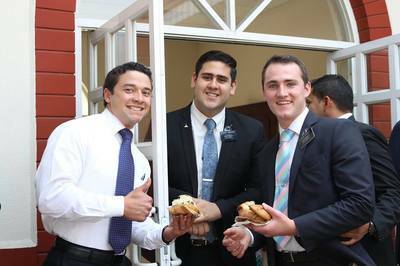 So the week before changes: Tuesday, Elder Roberts joins the team. Wednesday, we accompany the generation that leaves this cycle to the temple for an amazing session and lunch. Thursday, new trainers meeting and 6 week training meeting. Friday and Saturday, work like crazy in the area. Sunday, church and weekly reporting. Which brings us to Monday. The day of the new arrivals. Also, the day that Elder Foust returns to the Centro de Capacitacion Misional (MTC) after 21 months! WHhaaa?¿!¡ Memories came rushing back the moment I entered those mas o menos pearly white gates. Good memories. GREAT memories. I've come a long way. I also advised my old teacher in advanced so that we could have a reunion in the place where it all started. Luckily it has been one of many encounters and we are planning that it won´t be the last. 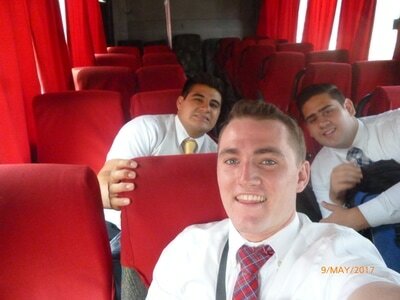 After fotos, fotos y mas fotos, we finally headed back to the offices in the combi with all the new missionaries. I stayed in the back with all the new ´gringos´and just answered questions the entire time. Once we arrived we had a short training meeting, ate, more training, then pizza. I loved being with all of the missionaries fresh out of the MTC. I will NEVER forget that moment in my life and tried to make it a good moment for all of them. However, you can't prepare enough for real mission life. Changes followed on Tuesday morning. It was a big one this time in preparation for President Mann's arrival. Regardless, things seemed to run smoothly and soon enough changes were done! It marked the start of what will most likely be the busiest/weirdest/most exciting/saddest/tiring cycle yet! It really hit home last Friday during mission council. We revised the calendar and, oh boy, big changes are coming. One of the hardest strangest sights was to see the page of departures and arrivals. The Stutznegger's. 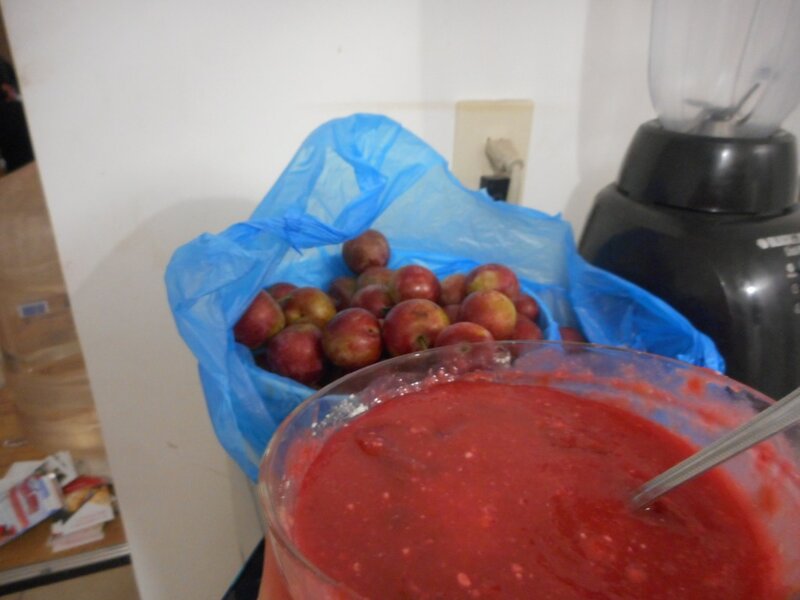 Nebeker´s, and EVERYONE from my generation. It felt a little weird. However, there will be little time to, as the youths say, ´get caught up in one´s feels.´ Plenty of work and preparation to be done. Also, great things are happening in our area as well. Lots of support from the members and a lot of great investigators to be found. Things are good and the mission is as amazing as ever. Love you guys so much! Thanks for the love and support. Well, I'm still recovering from the awesome talk I had with my beautiful mother and fam yesterday for Mother's Day. Everyone is happy and healthy and it felt like I was just home! It´s weird, that was the LAST video call home that I will have here in the mission. That's it! They're all done! Breath. Good thing is that there is just too much stuff to do here in Mexico. This week we did a lot of running around. Divisions, 'site-seeing,' and more divisions. On Tuesday, the three of us made our way out to Texcoco, the furthest area in our mission. It is HUGE. There's a bigger-ish downtown where the church is and the elders live. Then, there are around 20 different little pueblitos all around. It requires a lot of travel and careful planning to work this area. Luckily, Texcoco has one of the best elders in the entire mission. Mi amigo, Elder Gardner!!!!! Gardner is training an awesome new elder and they are working like crazy out there. We planned to do divisions with almost all the new missionaries this cycle. Fortunately for me, I finally got to work with my dear friend. We always wanted to be comps after we had parted ways arriving to the mission field from the CCM. However, Gardner is heading for his last change and it seems like that was never meant to happen. Still, it was an incredible day working shoulder to shoulder with such an awesome person. He has been and will always be such a great example for me and I am so blessed to have been able to share at least 1 day here in the mission field with him. 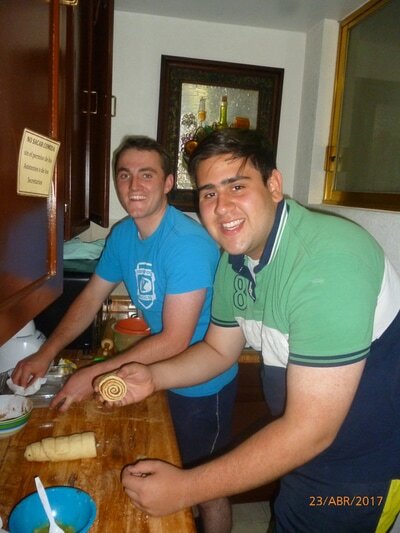 It was also so incredible to get to know Texcoco. It has a completely different feel with it's large open fields and farms, goats, sheep, and PLENTY of cactus. Although I didn't get to try the famous Texcoco barbacoa, it turned out to be a great day. Happy and exhausted, we headed off for home the next day. Wednesday, 10th of May is Mother's Day here in Mexico. We worked until the night and then headed to the mission offices so that my companions could talk to their mamás. They were happy and I was happy to see them happy. I introduced myself as the awkward gringo then slipped out so that they could enjoy their special time together. Staying in the offices was also perfect because we were closer to Downtown and we changed our Pday to Thursday to site-see. 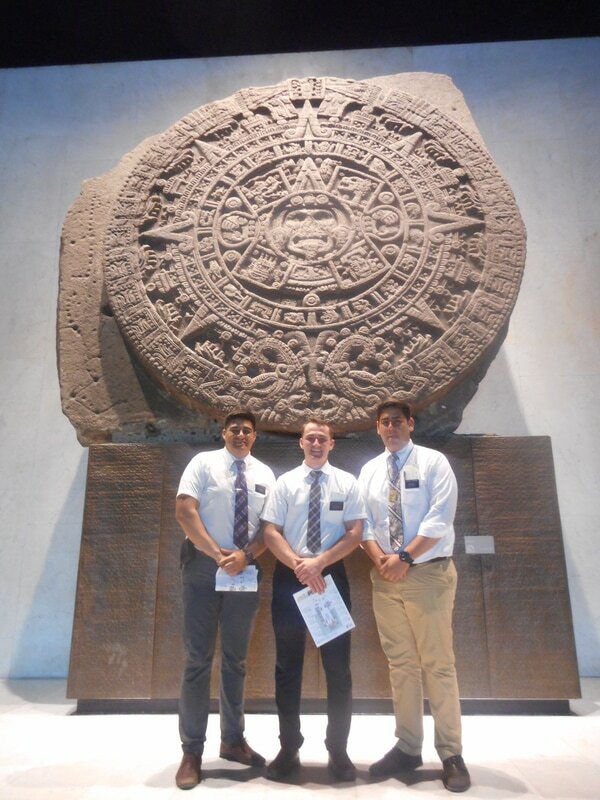 All of the museums are closed on Mondays so changing our Pday made it possible to visit the world famous Museum of Anthropology here in Mexico City. It was so big and breathtaking. So many rooms and so many exhibits. Mexico truly is such an amazing country with such vast and rich culture and history. I loved it and we barely scratched the surface. I will definitely have to come back and finish what I started. 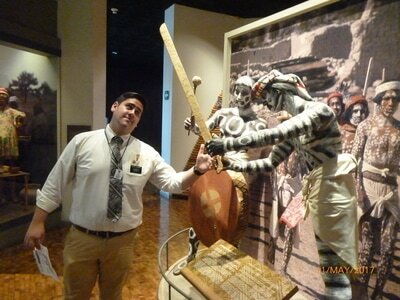 Elder Arroyo and I were all in but museums are not Elder Ibarra's cup o' tea. He was a happy camper like always, but you could tell he was pretty tired and ready to go by the end. All in all, it was an amazing experience. So plenty of maddness to go around and thinking forward to the next cycle which starts next week, it is about to get a whole lot crazier. Bring it on. Wow, I really haven't been good about writing much lately and for that I apologize. 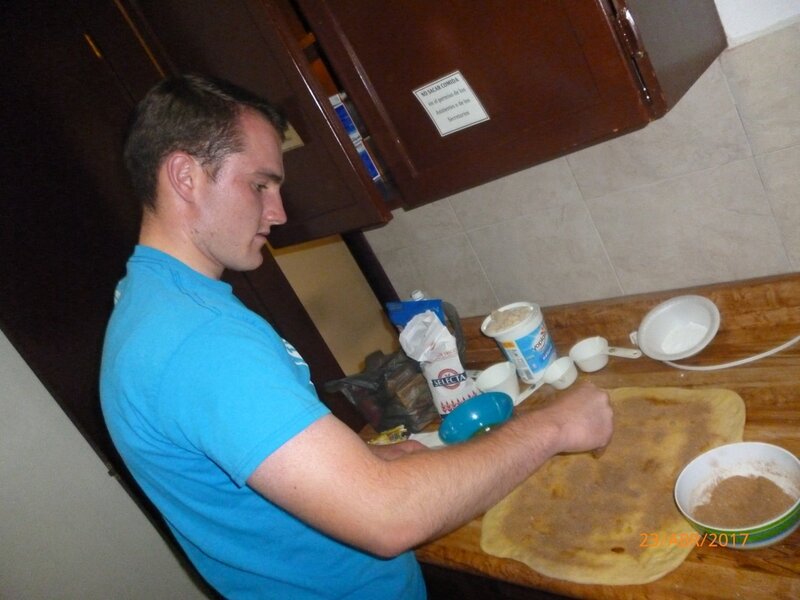 However, today I am going to give you a rundown/reminder of my life here in Mexico. I'll try to explain a bit more about things and stuff and such and so forth. Está bien? Bueno. 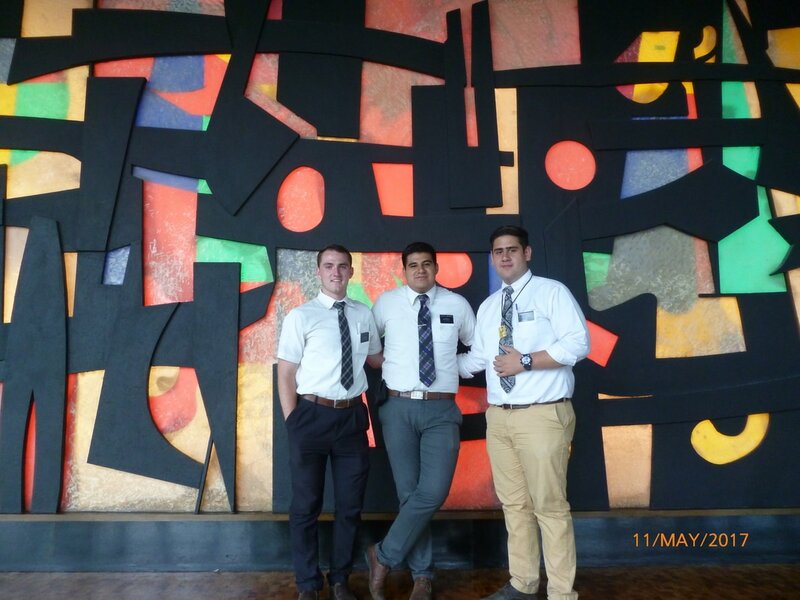 Over a week ago I completed 21 months here in Mexico City. I would say that is a decent amount of time. I feel I have lived here for a lot longer. Lately I have been reflecting back on my first weeks or months here in Mexico and trying to remember how I felt and how I saw things then. It comes in pieces but eventually I get to the initial picture of how Mexico was for me then. That always fascinates me how quickly and drastic your perspective can change. It's like reading an amazing book for the first time. Everything is exciting and overwhelming and your just constantly 'feeling.' Sure you miss a LOT of details and you might get lost, but the emotions are so strong. Then you begin to reread it again and again hungry for those same feelings. But it's different now. It's normal and expected. However, it does bring greater depth and with time a greater love. Maybe with my 21 months here in Mexico I'm not as fascinated by the thousands of delicious taco and quesadilla stands, the enormity of the city and number of people, the fact literally EVERYONE speaks spanish, hearing venders and garbage men yell and ring their bells every minute of the day, or the fact everything comes with tortilla or salsa, there´s an army of aggressively-friendly drunks, even the candy has chile, and the some of the most spiritual experiences can be in the bathroom. Maybe all that remarkably seems all normal to me now. But, the depth and greatness of the love I have for this place has definitely grown. Instead of being shocked at the vast number of stray dogs, I think of the places I've been, the people I've met, and the incredible experiences I have had. Instead of thinking where am I? 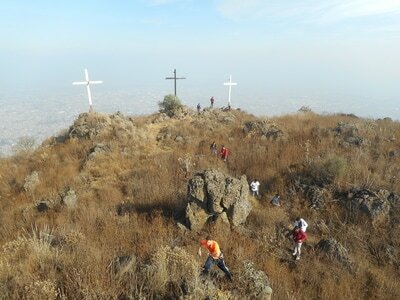 I thank God for making Mexico City my personal Holy Land. The one thing that remains fascinating to me is the fact that I wear the name Jesus Christ on my chest. 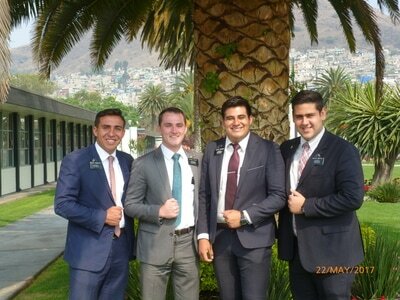 I'm a missionary! No. I'M A MISSIONARY IN MEXICO!!! If you thought I wanted to come to Mexico just to have fun, learn Spanish, get to know another culture, eat amazing food, or from obligation, you are deeply mistaken. I love my life and I am as happy as ever but my 'mission' is much more important than that. For these two years I am a representative of Jesus Christ called by a modern prophet. I am here in Mexico City to teach the restored gospel and invite all to come unto Christ. THAT IS WHAT I LOVE! THAT IS WHAT MAKES ME HAPPY! 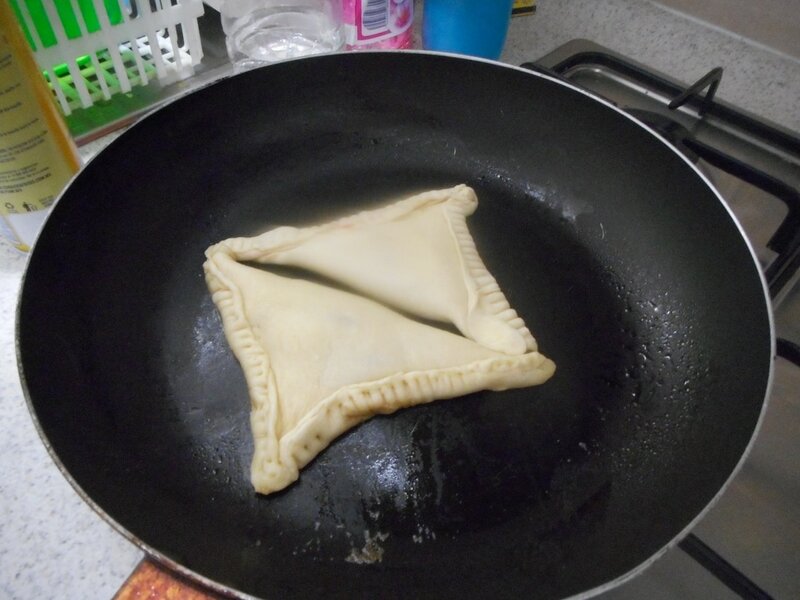 Sure the pambazos are great and reggaeton is cool and all but, COME ON PEOPLE, there are more important things than that. So, everyday I wake up, we prepare for our day as a companionship then we hit the streets to start preaching. What exactly is 'preaching´ for us? Finding people to teach, teaching them the doctrine of Christ, and inviting them to act in faith and make sacred covenants with Him. It is not just like one of those 'pretty Bible messages' that pops up on your Facebook feed from time to time. Quoting Elder Holland in probably my favorite talk of all time,The First Great Commandment, ¨Ours is not a feeble message. It is not a fleeting task. It is not hapless; it is not hopeless; it is not to be consigned to the ash heap of history. 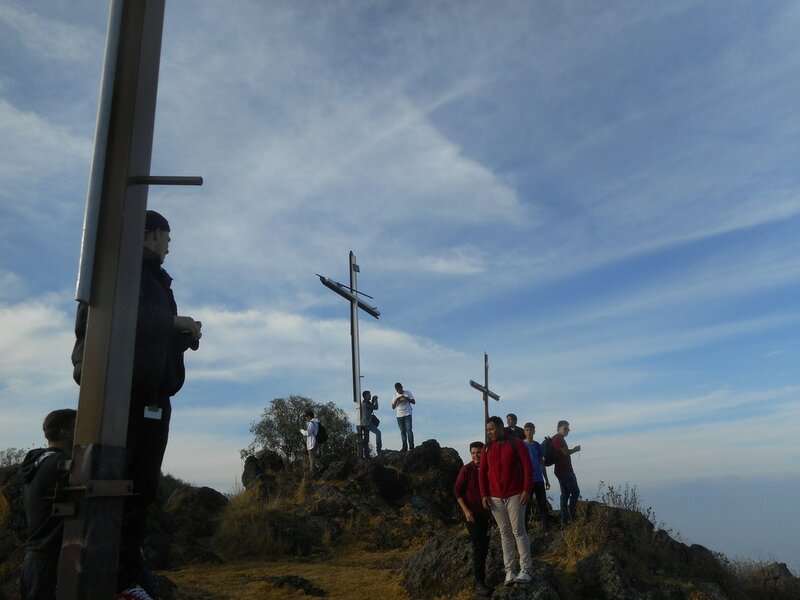 It is the work of Almighty God, and it is to change the world.¨ I know that´s true. 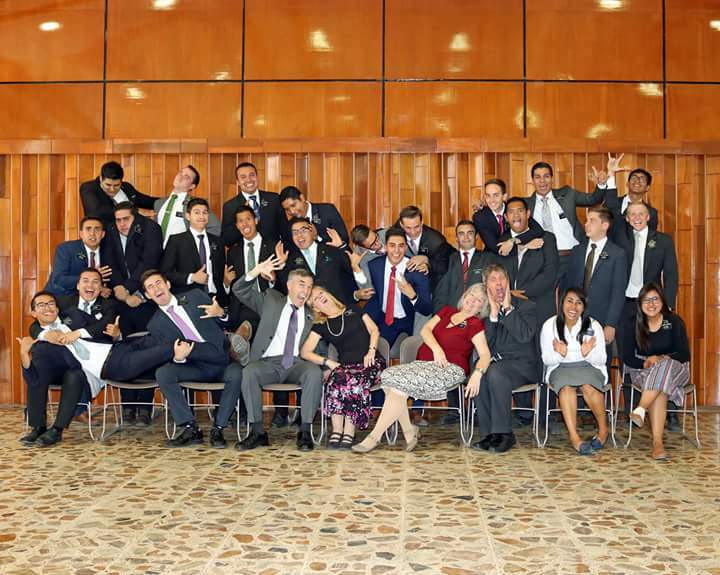 I will never remember my mission as just two great years of having fun in Mexico. It is and will also be remembered as a sacred time in my life, a HUGE perspective change that blessed me with greater and deeper love of my Savior, Jesus Christ. Sure, in the far off, distant...nope even MORE distant future, I will come home and tell you all about the dogs, tacos, and crazy, funny, experiences I´ve had in CDMX. I'm still the crazzzzzy, easily kicked by horses, Carson. But expect plenty of talk about my real purpose here in Mexico. God lives, He loves you...I love you! Have an awesome week! 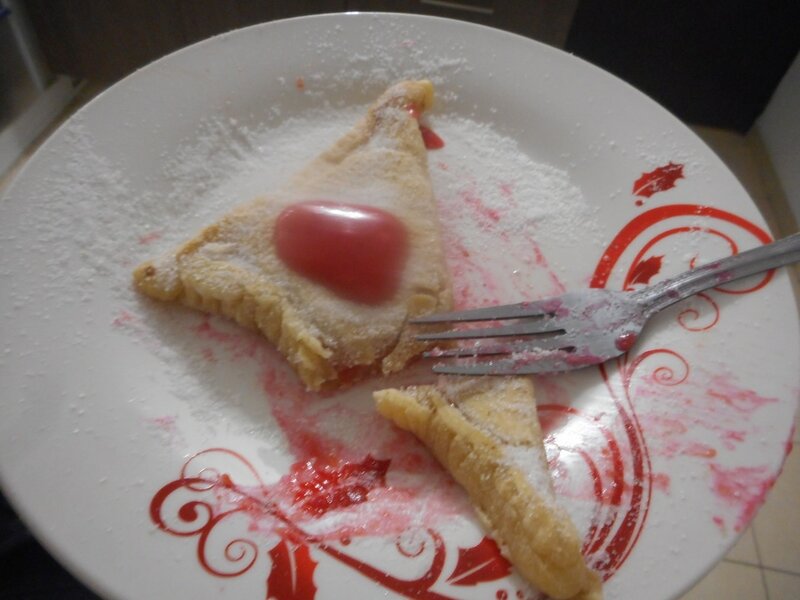 I am now in the Tepalcates ward in the Oriental stake. I also have not one, but TWO new companions! 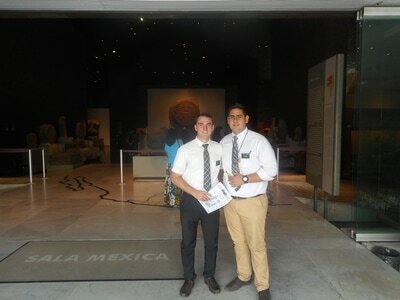 Elder Ibarra and Elder Arroyo. AND THEY ARE AWESOME! I have been learning so much from them in this past week. Elder Ibarra is from Monterrey and Elder Arroyo is from Aguascalientes. They have doubled the number of Latino companions I have had. All of us have about the same amount of time here in the mission and I feel great being in a trio with two incredible people. I think this cycle is going to be awesome. A LOT of work, lack of sleep, maybe even a few tears BUT awesome. Is there any better way to live? The chaos started immediately after changes on Tuesday. Basically we stayed until all the changes were finished, cleaned up, then headed off to eat. After that we accompanied the elders and sister that were were going home the next day to President's house. I had never been to Pres Stutz's house before which was bit of a surprise to a few. I guess I have had a bit of a quiet mission so far. Mom's probably a little relieved about that. We had a small testimony meeting then lounged around for a little while. One of the elders was from Puebla which is about 2 hours away and his family came to pick him up at the house. It was a little weird to be a bystander in that moment. Luckily, it didn't affect me too much emotionally but I would be lying if I said I didn't get a little teary eyed. So after they all left we went to mend our broken hearts with delicious tacos. Classic. Finally, it was time to return to the offices were we stayed the night. Now, with 2 Elders about to go home and in desperate need of distraction not much sleep was achieved. Especially since we woke up at 4:45 to head to the airport. Yes...I went to the airport. I barely survived though. That place is icky and I don't want to go back. So, sad goodbye then finally to my area to drop of my things then head to a missionary meeting. After ALL THAT....a normal day of work. Zombie. I was a zombie. Life is great and crazy and wonderful. Santos gatos, these past few weeks have been absolutely insane. 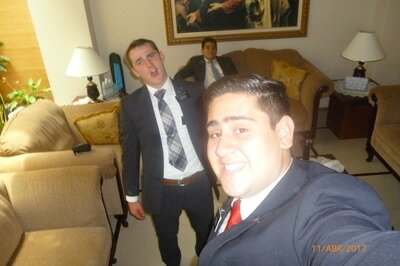 Basically, I'm here with Elder Durham and we have been working and running around like crazy. Literally not stop action since I have been here in Paraíso. However, amidst all this maddness have been some incredible experiences. 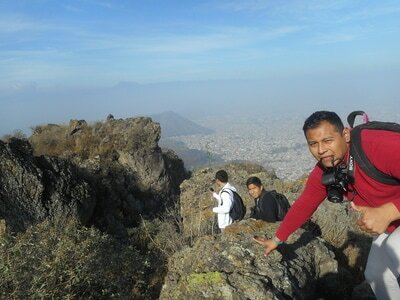 I was unable to write last week because we went to Teotihuacan...again! I think it was my fourth time visiting these amazing ancient ruins. 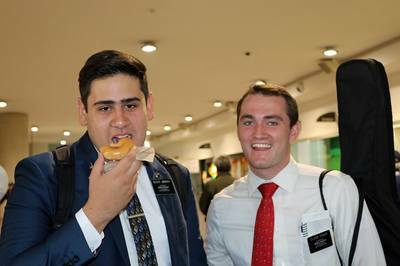 We went for 2 reasons 1) Elder Durham has never been (I know, crazy) 2) My trainer and 'dad' here in the mission, Elder Kleven, came back to visit for a few days and wanted to go with us! It was cool/weird to see him again since he has been back home for over a year now. It was also interesting because we went on the 21 of March which is just in time for the Spring Equinox Celebration they have each year. Basically TONS AND TONS of people show up wearing white to climb the pyramids. Once on top, they raise their arms in the air and 'recharge' their energy for the year. On top of the Pyramid of the Moon someone started a meditation circle that I gladly joined for a few glorious minutes. I was definitely in my element. The only fallback was that it took waaayyy too long to climb the Pyramid of the Sun because of all the people. However, it was definitely a unique experience and now I know to come back in a year, dressed in white, ready for my next recharge. 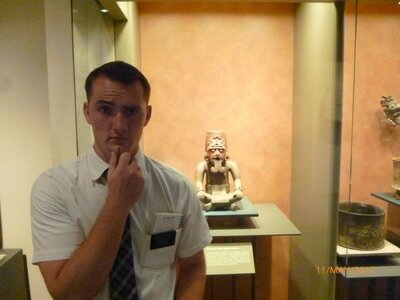 Elder Kleven came back at this time for a much greater reason that to just recharge. One of our converts from Pantitlan entered the temple for her endowments last Saturday. 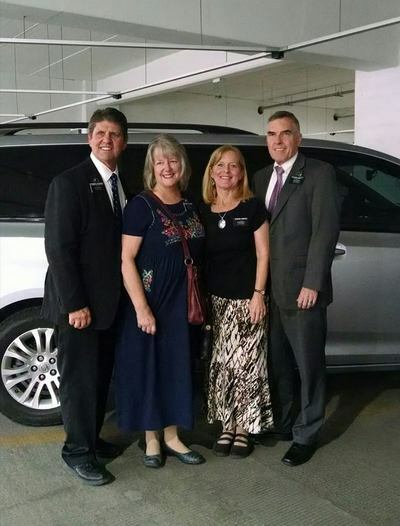 She was baptized in November 2015 and has finally made this incredible next step. 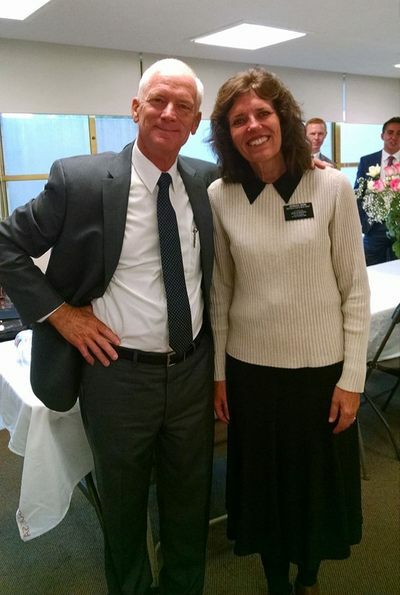 Elder Durham also had a convert who was baptized around the same time, in the same ward which scheduled her entrance date at the same time! 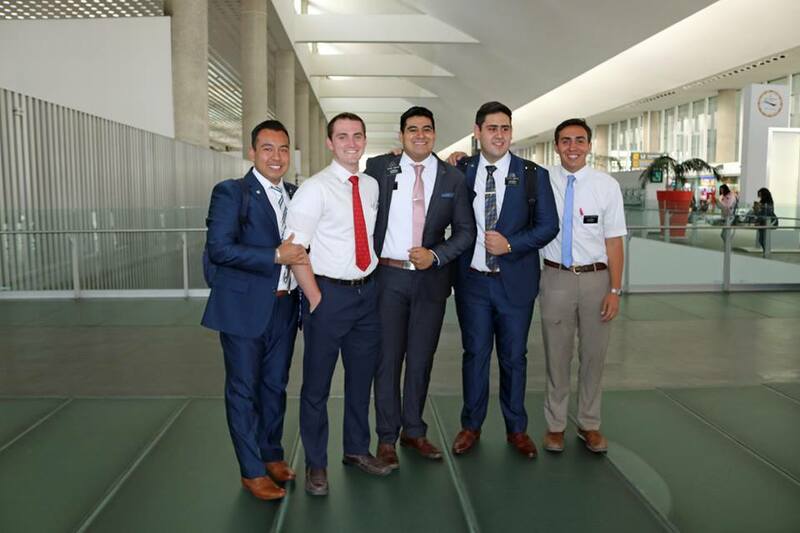 It was a Pantitlan Ward reunion for sure. The session was to start at 10:00 on Saturday and in typical Elder Foust fashion we made it just in time after a taxi, a van, another taxi, and a dead sprint to the temple. 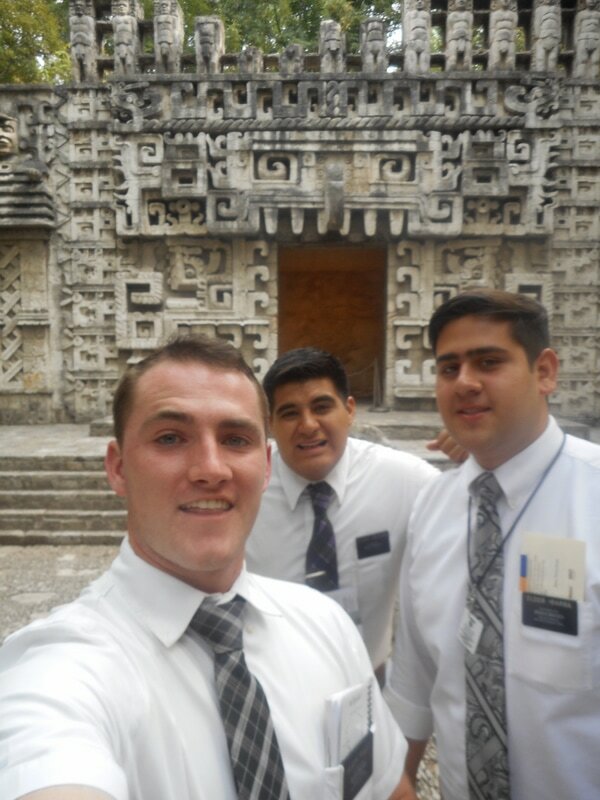 Nothing like arriving at the temple doors like a fiery, red, sweating tomato. However.....It was all worth it. This was a life-changing moment for me. I have never felt so close to heaven in my life. Woah...okay, breath. 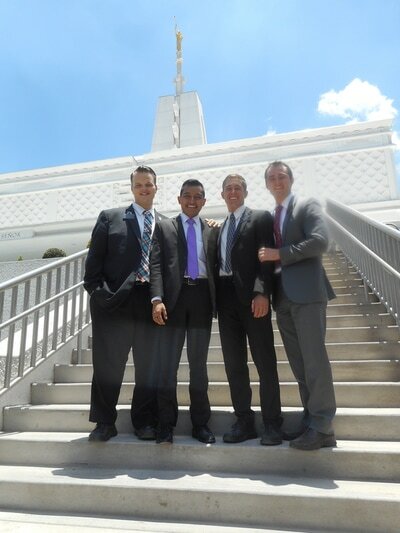 Well 2 weeks ago we spent our Saturday in the temple dressed in white and this past Saturday we spent it in a disgusting house covered with inches of dirt and THOUSANDS of spiders. Big difference...REALLY BIG DIFFERENCE! So, have any of you seen the show Hoarders? Well, I've got the sequel series: Hoarders: Mexican Infierno. Honestly, I think I have PTSD. There are just some things you can't unsee. Let's just say that it took us and the entire zone a lot longer than we thought. Eventually it was almost time for the food and we had to send all the elders back to their areas. By this time we finally finished cleaning the house and just had to organize and throw away all of the things we took out of it. But, we would have to do it alone. To make things better, it started pouring down rain. Rain and garbage don't usually mix. We definitely were not expecting to spend the entire day there and we had a lot of appointments with a lot of future investigators. However, we both felt we needed to stay and get the job done. The hermana has a lot of disabilities and her husband just had a heart attack last week. The house might have been atrocious but helping these wonderful hermanos was way worth it. So, we canceled a lot of our citas and stayed. However, the Lord always has a plan. As we were finishing up, the family of the hermana came home to see our hardwork. All of them have seen and spoken with the elders but none of them were members. 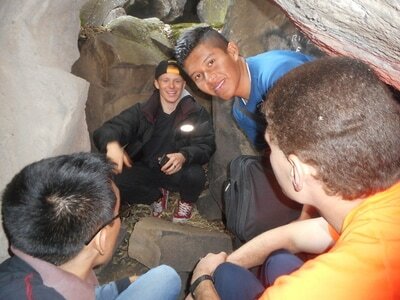 By the end we were laughing, talking, and eventually teaching all 7 of them! The entire week we have been working hard to find people to teach with little success. However, just this weekend we found several families and other individuals that already have a baptismal date! People we have never met, literally arrived at the church on Sunday wanting to learn more. And we thought it would be a failure of a week. 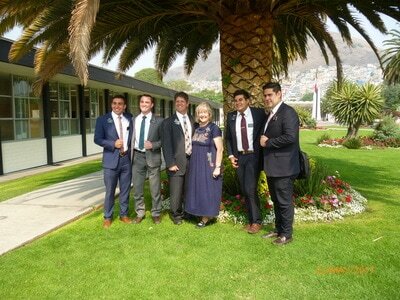 After church services we were telling an hermana in our ward of the experience and she shared with us a valuable lesson. She told us to never stop working, never stop trying because God sees all of it! Maybe we don't see the fruits of our labors in that very moment but the Lord will always see and will always remember and will always bless us. Perhaps not in the way we expect, but normally a whole lot better. So...work hard, be patient. God loves you! I have felt amazing but completely weird lately. I'm in a new area, with a new comp, with the same problem: Time just keeps flying by. However it has been a great 2 weeks since changes mainly because 1) I'm in Paradise!!!! No, literally I am in the Paraíso stake and the Palmitas ward. It is back in the main part-ish of the city kind of like the area where I started my mission. With lots of apartment complexes, traffic, FOOD! (finally) and other city-like stuff. 2) I AM WITH ELDER DURHAM!!!!! 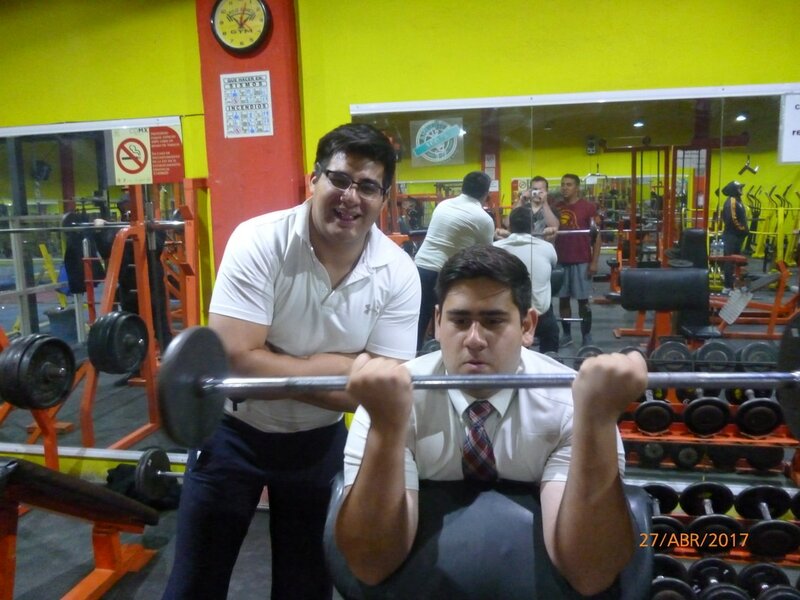 Yep, my dear friend who started a cycle after me in the same ward of Pantitlan is now my comp. He is just the best and I have been learning a lot from him. Since the first day with him I knew it would be a good cycle. We just have this flow when we teach. It's incredible. I think the Lord knew that leaving Ixtapaluca would be really hard on me so he helped me out so much with these changes. The past couple weeks have been really crazy. We've been running around a lot helping the elders, doing divisions, going to meetings and other shenanigans. I have been really tired but happy which is a sign that everything is going good. I can't remember too many specifics right now to share with you all (I hope you don't come shoot at me) but know that I love you and hope you have a great week. I will be sure to write better next week!